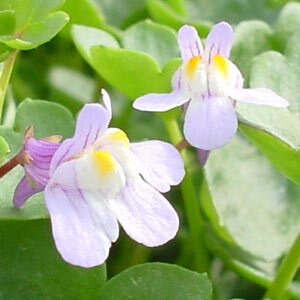 学名 正名：Cymbalaria muralis P. Gaertn., Mey. et Scherb. 異名：Antirrhinum cymbalaria L.、Linaria cymbalaria (L.) Mill. Quattrocchi, U. CRC World Dictionary of PLANT NAMES. Vol. I. CRC Press LLC. 2000. Bianco, A., et al. 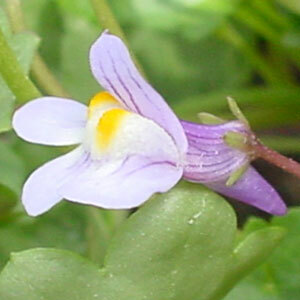 Muralioside, an iridoid from Cymbalaria muralis. Phytochemistry. 44: 1515-1517. 1997. Harborne, J. B., et al. (Editors). Phytochemical Dictionary. Taylor & Francis Ltd. 1993.